Profile: 4.1.20 EIT EIT Digital ( www.eitdigital.eu ) is one of the first Knowledge and Innovation Communities set up by the European Institute of Innovation and Technology, as an initiative of the European Union. 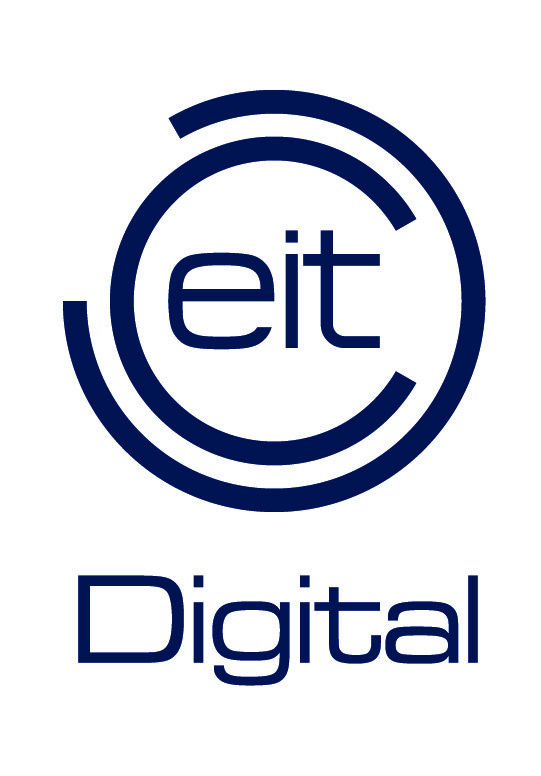 EIT Digital is a leading European digital innovation and entrepreneurial education organisation driving Europe’s digital transformation. EIT Digital delivers breakthrough digital innovations to the market and breeds entrepreneurial talent for economic growth and improved quality of life in Europe. It does this by mobilising a pan-European ecosystem of over 130 top European corporations, SMEs, start-ups, universities and research institutes, and by bringing together students, researchers, engineers, business developers and entrepreneurs in its Co-Location Centres (CLC) located in Berlin, Budapest, Eindhoven, Helsinki, London, Madrid, Paris, Stockholm, Trento, and in its hub in Silicon Valley. EIT Digital’s Innovation & Entrepreneurship strategy is driven by its Innovation Action Lines. In each Action Line, we select the most promising research results, disruptive technologies and business strategies from our ecosystem and beyond. We package them into Innovation Activities and start-ups. Start-ups are also sourced through the EIT Digital Challenge (https://www.eitdigital.eu/challenge/ ), the largest European start-up contest in information technology, through our ARISE Europe program (https://www.eitdigital.eu/about-us/arise-europe/ ) or by a direct application to the Business Development Accelerator (https://www.eitdigital.eu/accelerator/ ). The latter supports all of them in their international growth through Access to Market and Access to Finance services. The EIT Digital Academy (https://www.eitdigital.eu/eit-digital-academy/ ) delivers a unique blend of the best of technical excellence and entrepreneurial skills and mindset to digital engineers and entrepreneurs at all stages of their careers. EIT Digital Academy trains graduates pursuing digital entrepreneurial education via the EIT Digital Master School (https://www.eitdigital.eu/eit-digital-academy/master-school/ ), provides the opportunity for industry embedded, market focused doctorates via the EIT Digital Industrial Doctoral School (https://www.eitdigital.eu/eit-digital-academy/doctoral-school/ ). Of particular importance for this project is the EIT Digital Professional School (https://www.eitdigital.eu/eit-digital-academy/professional-school/ ) that ensures that those already working within industry are able to keep abreast of current developments and use them to help their organisation innovate and succeed. Expertise and Role in CONCORDIA: EIT has a very good connection with the private domain and represents several private industrial entities thus will be involved in the development of a European policy on cybersecurity based on the CONCORDIA results as it is described and will be implemented in WP4. EIT will lead this Work Package (WP4) focusing on the Private, Public Partnership (PPP) bringing together stakeholders from wide range of domains and exploring the needs of the Digital Market. Also, EIT will be involved in training activities and will bing forward the EIT Digital Academy for organizing Digital professional schools on cybersecurity. EIT using EIT Digital will also provide CONCORDIA Certificate solution.